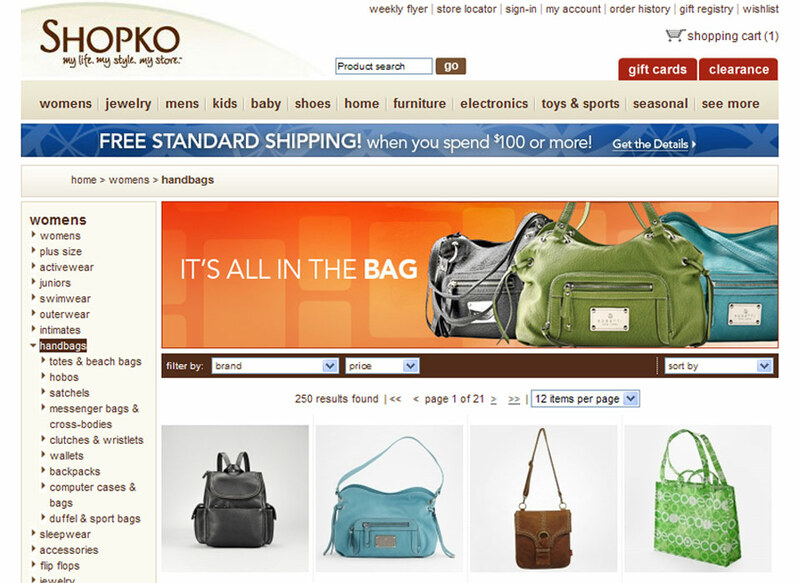 Shopko operates more than 330 stores, including about 135 Shopko discount stores and 175 Shopko Hometown shops (formerly Pamida stores) in some 20 states across the US. 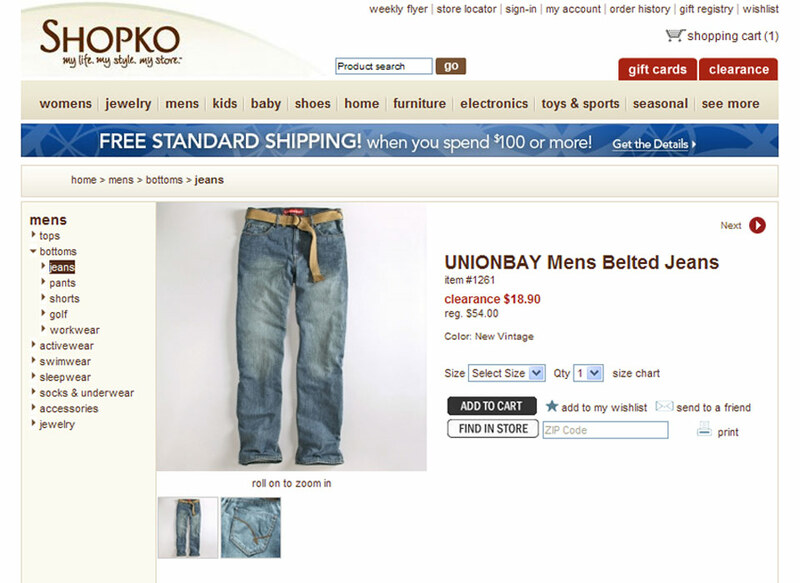 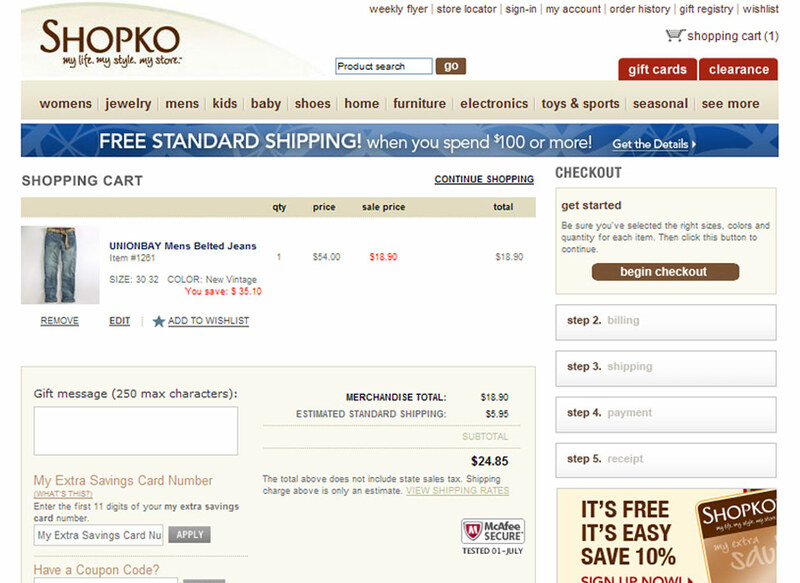 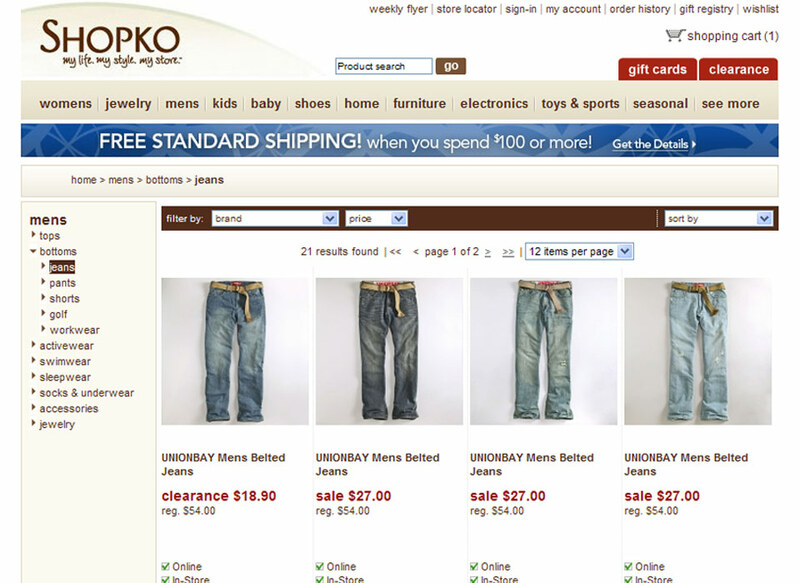 We redesigned the ShopKo website and set the table for them to do full ecommerce. 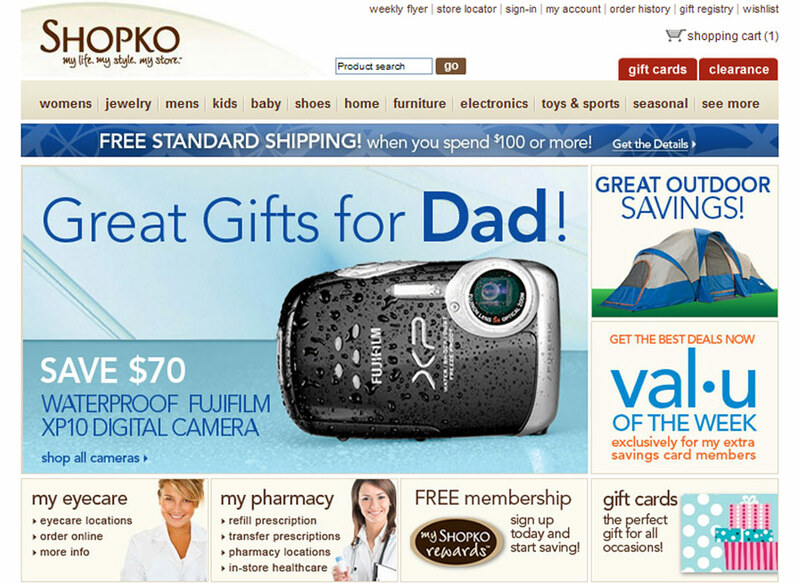 The website contained all of the typical ecommerce store features and functionality (shopping cart, gift cards, registry, wish list, etc). 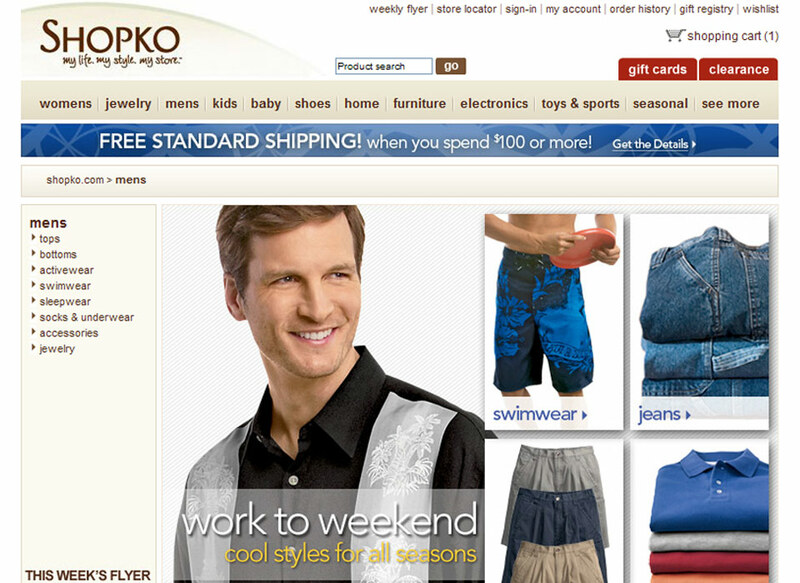 We also designed the weekly homepage features for ShopKo as well. 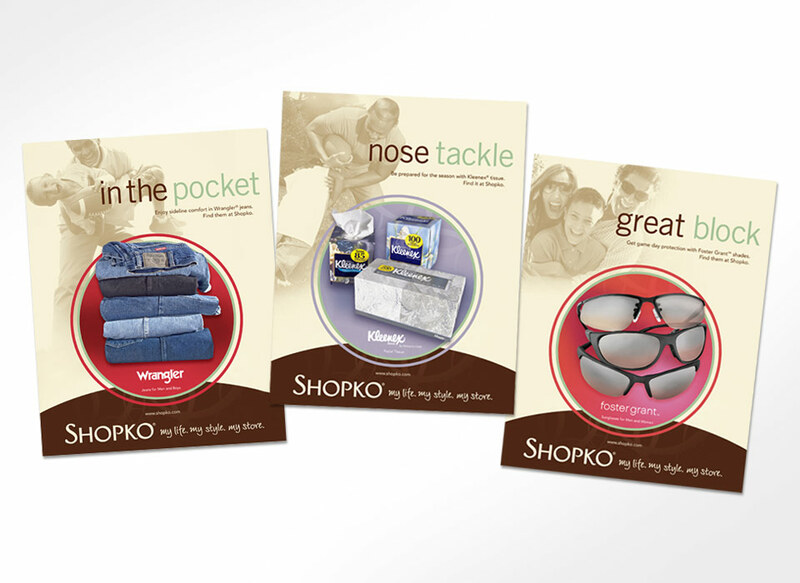 A print campaign was also produced that ran during football season.